As we All know Canada Loves to Bet on horse If it's Woodbine, Mohawk, US Race Tracks, UK Race Tracks, may dabble on the greyhound, Or If you Just want to bet Stakes Races - but if you can't make it to the track or to OTB what Can you Do? Well Sports Interaction IS the best Online Betting Site for Canadians. 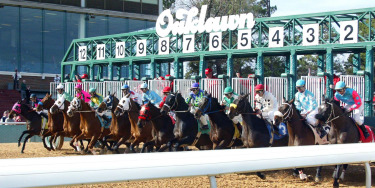 Not Only do they have horse racing but you can also bet on single sports games play their online casino and play online poker, all at one site. 8% Horse Betting Rebates and Cash Back - Much Higher than HPI. 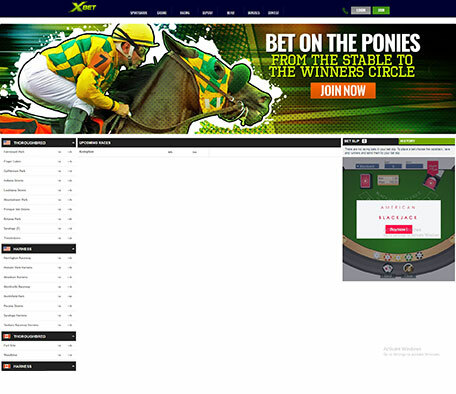 International Horse Racing Available: UK Race Tracks, Cheltenham, Cork, Australia A and B, Japan Horse Betting, Woodbine, Harness Racing and Greyhound Betting. Canada's best horse betting site. Canadians love to bet on horses and now easier than ever at Sports Interaction . Sure Canada loves Woodbine but you can also bet at horse racing tracks from all over North America. Thoroughbred and Harness Racing. Fast and secure depositing and withdrawal options are offered - including Credit cards and 24 hour Customer Service the Sports Interaction experience will be safe and honest to deal with. Lets say the race is for 2 year olds first time starters well Mark E. Casse has a winning percentage of 43%, and it it was a turf race Chad C. Brown has a winning percentage of 33% while Joshua M. Litt , who does not train a lot of horses is a 63% winner on the grass. 2) THE JOCKEY : A lot of people say a jockey can't win a race but they sure can lose one. (and 98% of the time that saying is true). As of June 2015 the top jockey is Javier Castellano - and will usually have low odds - but if you see that he is 5/1 or better I would be the jockey. 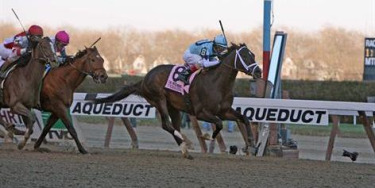 Lets say it's graded stakes race well John R. Velazquez has a 28% winning percentage. Another interesting play is if the jockey switches horse. 3) THE ODDS : Only One thing to say here : DON'T BE AFRAID OF THE ODDS. If you like a horse and it's 30-1 then bet it. Don't bet your full bank roll but throw a couple of bucks on it. I have personally placed 50.00 on a number of 20, 30 and my personal best 47-1 shots and came out a winner. (I also left the track right after cashing out). I have also put 50.00 on a 2-1 shot trying to pick up some change and 99% of the time gotten burned. What do the odds mean in horse racing? If the Racebook or OTB offers odds of 2:1 a certain horse winning a race, this means that he'll accept a $2 stake in return for a payoff of $6, including return of the stake, if the horse wins. If the horse loses, the Racebook or OTB keeps the stake. What does it mean to WIN in horse racing? If betting a horse to "WIN" you need the horse to finish 1st to win your wager. What does it mean to show in horse racing? If betting a horse to "show" you need them to finish top 3 to win your wager. What does it mean to place in horse racing?